The Highlanders, everybody’s favourite underdog team. Based down near the bottom of New Zealand, in Dunedin, the Highlanders play their rugby in the farthest city in the world from London, their former Imperial capital, some 19,100 km away. (90 km more than Invercargill, and 100 km more than Christchurch). Playing rugby in Dunedin, about as far away from the birthplace of the game of rugby as it is possible to get in the entire world, does not mean that the Highlanders are some distant country-bumpkin team who emerge from their caves and mud-huts to play some strange ritualistic game involving mud and an oval shaped ball. This is no rugby backwater. The Highlanders are always a handful, no matter who their opponents. 2019 will see the Highlanders being forced to adjust to playing without Lima Sopoaga, their All Black flyhalf, who has gone off to play his rugby in England. Finding a replacement for Sopoaga was not going to be easy, hence a call went out to someone who is something of a cult-hero in Dunedin. Marty Banks has answered the call and returned home from Italy and Japan to play for the Highlanders and to mentor their two youngsters, Josh Ioane and Bryn Gatland. The Highlanders will be a force in 2019. They always are. The Highlanders have always provided for a combatitive, hard-working pack of tight forwards, none of whom are super stars in their own right, but as a collective always one of the most competitive packs in the game. 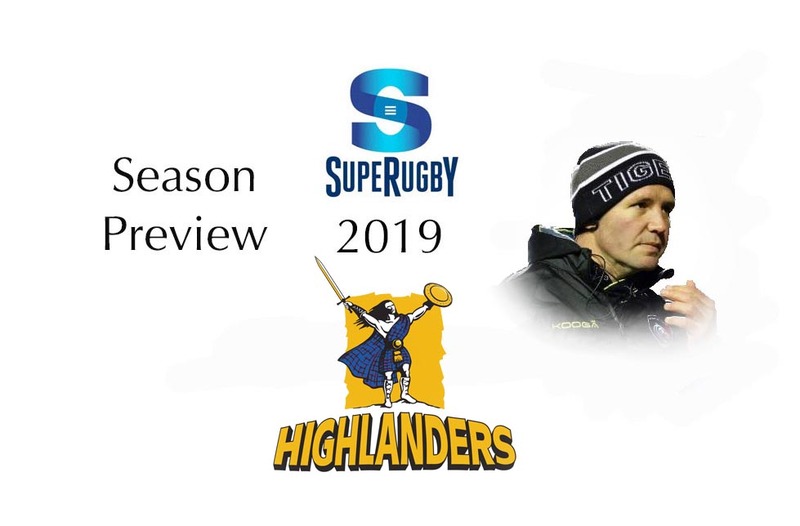 There are some big names amongst the loose-forwards, with the likes of Liam Squire, Shannon Frizzell, Luke Whitelock, Dillon Hunt and James Lentjes all combining to provide the Highlanders with the kind of attacking space they need. The two Smiths, Ben and Aaron, are critical to the Highlanders success, which might cause a bit of a problem in 2019 if both All Blacks are rested or given limited game time to keep them fresh in All Black cause. Aaron Smith has been the glue that holds the Highlanders together, with his superb game reading and vision on the field, wonderful service to his backs, and his linking play with his loose-forwards. Without him, they may have a bit of adjusting to do.The Highlanders do have depth, but is the talent pool deep enough if their All Blacks are taken out of the equation? The Highlanders have the guts and sheer mongrel that could take them all the way, but those All Blacks are critical to the cause. Without them, they might have a bit of a fight on their hands. Fourth in the New Zealand table.